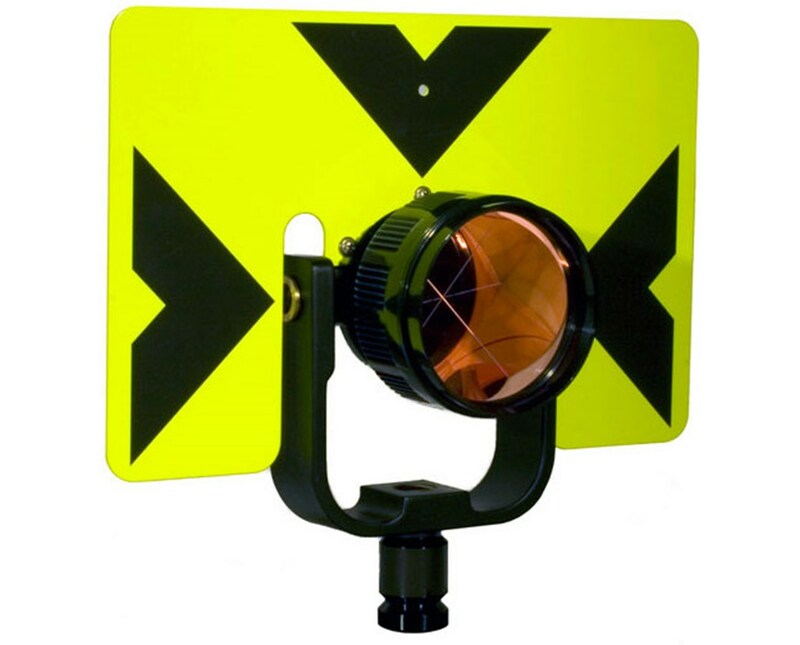 The Sokkia Economy Rear Locking Prism Assembly is a complete package featuring a rear-lock system that helps to aim the prism to the measuring equipment. The 62-millimeter prism is coated in silver and can be configured to 0 and -30-millimeter offset depending on the user’s preference. 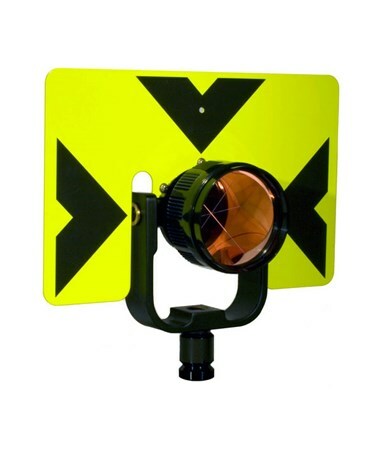 The vibrant fluorescent yellow target measures 5.5" W x 7" H. The complete assembly can be carried around in the protective case included in the purchase.